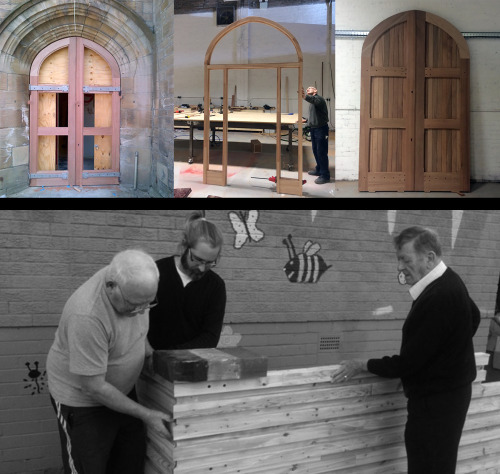 Progress photos of bespoke joinery work for the refurbishment project at Aspire Church Hall, a grade B listed building owned by Healthy n Happy Community Development Trust. ‘The Handy Folk’ volunteer group have also been hard at work recycling the existing excess structure to create a unique reception desk for the centre. The refurbishment project is due to complete in July to provide a new community hub for Rutherglen, including a fit for purpose broadcast studio for CamGlen Radio, cafe and multi purpose community space.